As a reviewer of a movie related website, people have often asked me in the past “Has Clint Eastwood ever worked with Martin Scorsese before?”. In turn, I would give them the name of this 85 minute musical documentary made in 2003. True story – both of them. It is pretty safe to say that star of stage and screen, Clint Eastwood, is on a mission with his urban producer friend, Martin Scorsese. However, this mission – unlike their respective films careers – is to chronicle a true American art form – Piano Blues. Now for those of you not in the know, this type musical performance has developed over time, grounded in both gospel and country music, and has been innovated by both jazz and rock and roll. Still, facts like these don’t make Clint’s day (pun intended), and so he sets a course to interview many a old time blues singer, all of whom explains to Clint about there musical heritage – there inspirations – what this type of music means to them – as well as demonstrating to Clint on a piano the ol’ plink-plonk the do-wai-dah. So whom does Clint get to interview? Ray Charles Dr. John, Marcia Ball, Pinetop Perkins, Dave Brubeck, Jay McShane, and many-many more. OK, just one or two more, but I have forgotten their names. But wait! There's more! To complement this eclectic recount of yesteryear on the ‘Ol’Joanna’, there's also a shed load of still photography, plus numerous vintage performances from Blue singers of times past. Like Ray Charlies, Jay McShane (OK, I know that I have mentioned them before, but I want to mention them again, OK! ), Otis Span, Art Tatum, Joe Turner, Oscar Peterson, Nat King Cole (Nat was a pianist before he was a singer), Duke Ellington, Professor Longhair, Fats Domino, Charles Brown, Thelonious Monk, plus a few others I have forgotten the names of as well. Listen, I am sure that you are wondering to yourself why I keep on forgetting peoples names, right? Hmmm? Well, I got ‘the blues’ baby. And what is ‘the blues’ exactly? The blues is whatever you want it to be – it can be a nursery rhyme – it can be a patriotic ballad – and it can be a rhythmical duet too. But when you instill this distillation of intuitive melody from the tips of your fingers to the ebony and ivory of the piano keys, symbiotically you are expressing yourself with passion – grace – and an emotional fervor, which is one-half song and old-half mood. Visceral – that is what I thought to myself after watching this documentary hosted by Clint Eastwood. OK, I have to admit, upon first viewing, I was not expecting this type of documentary from the likes of Eastwood and Scorsese at all! Instead, I half expected Clint to walk in through a door and stick someone’s head in a vice, and torture them until they told him what they thought ‘the blues’ was all about. Fair dues, this was most probably a jovial estimation on my behalf, but still, it could have been fun. So what did I get instead of Clint with a vice? Hmmm? Clint with a melody. Effortlessly, he would sit down by the side of a prospective interviewee, and then ask them a series of simple questions. Such as (1) When did you first start playing the blues? (2) What does the blue mean to you? And (3) Who inspired you to play the blues? And in turn, Clint would receive an diverse mix of mumbles, sputters, and groans, all resulting in a tale of yesteryear, a obscure reference, or a poignant tale of x, y, and z. Listen now, if you do not like hearing stories told by people who look like they broke bread with Christ, then this if not a documentary for you! Moreover, if you do not like your documentaries with more music than there is narrative, then this is not a documentary for you either! Personally speaking though, I thought that ‘Piano Blues’ was a fairly good program all in all – as it told a story in a somewhat supple manner, as well as showcasing many musical talents in a very fractured way. OK, so sometimes a musician cannot seem to put his point across in a very clearly, and on top of that, the music does tend to overpower the overall through-line of the show also! But that is the blue ‘baby’ – and you have to love the blues to really love this show. 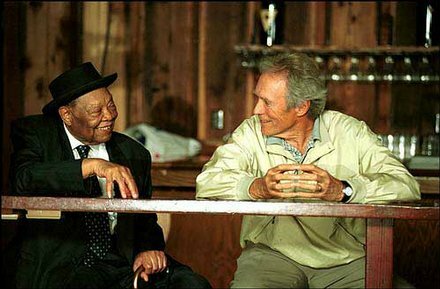 Some of my favourite things in 'Piano Blues' were: (1) When Ray and Clint singing ‘Bears to you’ – as they did in Clint’s 1980 film ‘Any Which Way But Loose’. (2) Anything Ray Charles say’s and does – he’s a legend. (3) The reference to Clint’s 1982 film ‘Honkytonk Man’. (4) Some of the vintage clips really capture a slice of yesteryear – like the ones of Fat’s Domino, Nat King Cole, and Professor Longhair. (4) Dr. Johns matching mustard colored hat and shoes – plus whatever he said sounded nice even if I did not understand it. (5) The duet with Dave Brubeck and Jay McShane – that was class. And (6) The relaxed style in which the documentary seems to evolve in – and not in a contrived way either. 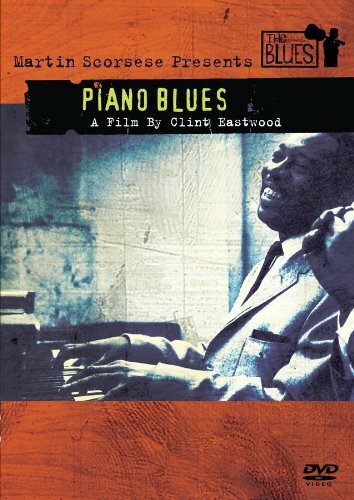 Overall, 'Piano Blues' is what I would call a specialist film of a sub-genre of music. It’s informative to a degree, but it expresses itself with the showing and not the telling. So if you like Clint, Ray, the blues, or music films in general – this is one to watch – one hundred percent.